Eye supplements are nutritional products that contain vitamins and other nutrients that research has shown to be beneficial for maintaining eye health and good vision. As their name suggests, eye supplements are designed to add to, not replace, nutrients you get from a healthful diet. Taking dietary supplements cannot completely make up for serious nutritional shortcomings of a poor diet and too much junk food, which are associated with many serious health problems, including vision loss. What Is A "Healthy Diet" For Good Vision? A diet containing plenty of fruits and vegetables can help you enjoy a lifetime of good vision. Emphasizes fruits, vegetables, whole grains and fat-free or low-fat milk and milk products. But it's common knowledge that most Americans don't eat enough fruits, vegetables and other nutrient-rich foods, opting instead for high-calorie, low-nutrient alternatives that can be harmful to the body, including the eyes. Taking a daily multivitamin and mineral supplement can help fill in the nutritional gaps in a less-than-optimal diet and may help protect you from degenerative diseases, including eye diseases such as macular degeneration and cataracts. Each of these multicenter U.S. clinical trials enrolled several thousand participants and had a follow-up period of at least five years. AREDS. The original AREDS study investigated the effect of use of a daily multivitamin supplement on the development and progression of AMD and cataracts in a population of approximately 3,600 participants, ages 55 to 80. Most of the study participants already had early or intermediate AMD at the time of enrollment, and the average follow-up period of the study was 6.5 years. The multivitamin supplement contained beta-carotene (15 mg), vitamin C (250 mg), vitamin E (400 IU), zinc (80 mg) and copper (2 mg). Results of the original AREDS were published in 2001 and showed that the antioxidant multivitamin used in the study reduced the risk of AMD progression to advanced stages among people at high risk of vision loss from macular degeneration by about 25 percent. Also, in the same high-risk group that included participants with intermediate AMD, or advanced AMD in one eye but not the other, the daily multivitamin reduced the risk of vision loss caused by advanced AMD by about 19 percent. For study participants who had either no AMD or only early AMD, the multivitamin provided no apparent vision benefits. Also, the daily eye supplement had no significant effect on the development or progression of cataract among study participants. Eye supplements can help fill in nutritional gaps in a less-than-perfect diet. AREDS2. AREDS2 was designed to investigate the effect of modifications of the original AREDS supplement formula on the development and progression of AMD and cataracts. In particular, lutein and zeaxanthin — plant pigments (carotenoids) that other research suggests may have eye benefits — and omega-3 fatty acids were evaluated. Also, AREDS2 researchers wanted to evaluate a modification of the original AREDS multivitamin formulation because some research has linked beta-carotene supplementation to increased risk of lung cancer in smokers and previous smokers, and because of concerns about minor side effects such as stomach upset caused by the high amount of zinc in the original AREDS formula among some people. Results of the AREDS2 study were published in May 2013. Participants in the study who took an AREDS formulation that included lutein and zeaxanthin, but no beta-carotene, had an 18 percent lower risk of developing advanced AMD over the five years of the study, compared with participants who took the original AREDS formulation with beta-carotene. Also, AREDS2 participants with low dietary intake of lutein and zeaxanthin at the start of the study were up to 25 percent less likely to develop advanced AMD when taking a daily multivitamin that included 10 mg lutein and 2 mg zeaxanthin, compared with participants with similar dietary intake who did not take a supplement containing lutein and zeaxanthin during the study. None of the modified AREDS supplement formulations used in AREDS2 — including those containing 1,000 mg omega-3 fatty acids (350 mg DHA and 650 mg EPA) — prevented or reduced the risk of cataracts. As research continues on the benefits of vision supplements in reducing the risk of eye problems (and perhaps in improving visual acuity in healthy eyes), it seems wise to supplement your diet with a daily eye supplement that contains many, if not all, of the following ingredients. Vitamin A and beta-carotene. Vitamin A (and its precursor, beta-carotene) is necessary for night vision, wound healing and proper functioning of the immune system. Though supplemental beta-carotene has been associated with greater risk of certain cancers among smokers and previous smokers, obtaining a healthy amount of beta-carotene from natural food sources does not appear to elevate this risk. Vitamin C. Some studies have found vitamin C, a powerful antioxidant, is associated with reduced risk of cataracts. Vitamin D. Recent literature suggests vitamin D deficiency is widespread, especially during winter months in cold climates. Research suggests vitamin D is associated with a lower risk of macular degeneration. Vitamin E. Another component of AREDS and AREDS2 supplements, vitamin E has been associated with reduced risk of cataracts in other studies. Lutein and zeaxanthin. These carotenoids and macular pigments may reduce the risk of macular degeneration and cataracts. Phytochemical antioxidants. Plant extracts, such as those from ginkgo biloba and bilberry, contain phytochemicals, which appear to provide protection from oxidative stress in the entire body, including the eyes. Omega-3 essential fatty acids. These essential nutrients may reduce the risk of dry eyes and may have other eye health benefits as well. Bioflavonoids. Found in many fruits and vegetables, bioflavonoids appear to help the body absorb vitamin C for higher antioxidant efficiency. Check for an expiration date to make sure the supplement you are purchasing is fresh. Make sure the seal on the bottle has not been broken. Check the serving size. Do you need to take only one tablet, or do you need to take two or more each day to get the percentages of the Daily Value of each ingredient listed? "Daily Value" or "DV" is a basis for labeling nutrient content that the FDA began to require of food processors and manufacturers in the 1990s. It is not necessarily a recommended intake, since it is based on general measurements of the population at large, and different people require different amounts of nutrients. Capsules often are absorbed better than hard tablets and may cause less stomach upset. The best eye supplements contain quality ingredients that have high bioavailability, meaning your body can absorb them easily. For example, the natural form of vitamin E (D-alpha-tocopherol) is roughly twice as active in the human body as the artificial form (DL-alpha-tocopherol). Avoid eye supplements that contain dairy products, corn or wheat as fillers, especially if you have allergies or other intolerance problems. The most reputable companies typically will formulate their supplements without unnecessary fillers. 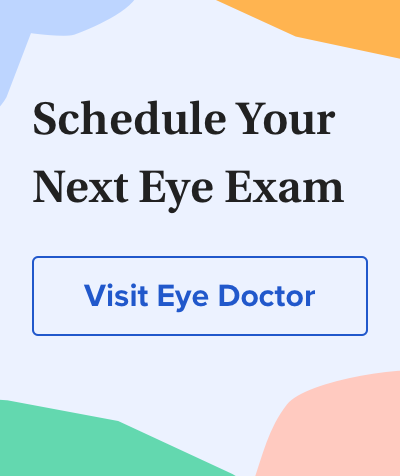 To make sure you are getting a reputable brand, choose one of the popular eye supplements listed above or consult your eye doctor. Nutritionists and knowledgeable nutrition store clerks are also good sources of information. While dietary supplements, including eye supplements, generally are safe and beneficial, you should follow a few precautions. If you are pregnant or nursing or are taking blood thinners (anti-coagulants), speak to your doctor before using any type of nutritional supplements. Even though vision supplements are a non-prescription item, do not exceed the dosage instructions on the bottle, to reduce the risk of toxicity or drug reactions. NIH study provides clarity on supplements for protection against blinding eye disease. National Eye Institute (NEI). Press release issued May 2013. Lutein/zeaxanthin and omega-3 fatty acids for age-related macular degeneration: the Age-Related Eye Disease Study 2 (AREDS2) controlled randomized clinical trial. JAMA. Published online May 2013. Lutein/zeaxanthin for the treatment of age-related cataract." JAMA Ophthalmology. Published online May 2013. Long-term effects of vitamins C, E, beta-carotene and zinc on age-related macular degeneration. Ophthalmology. Published online April 2013. Prevention of endotoxin-induced uveitis in rats by benfotiamine, a lipophilic analogue of vitamin B1. Investigative Ophthalmology & Visual Science. May 2009. Folic acid, pyridoxine, and cyanocobalamin combination treatment and age-related macular degeneration in women. Archives of Internal Medicine. February 2009. Low vitamin B6 and folic acid levels are associated with retinal vein occlusion independently of homocysteine levels. Atherosclerosis. May 2008. Associations between age-related nuclear cataract and lutein and zeaxanthin in the diet and serum in the carotenoids in the Age-Related Eye Disease Study (CAREDS), an ancillary study of the Women's Health Initiative. Archives of Ophthalmology. March 2008. Topical omega-3 and omega-6 fatty acids for treatment of dry eye. Archives of Ophthalmology.February 2008. Flavonoids protect retinal ganglion cells from ischemia in vitro. Experimental Eye Research. February 2008. Dietary carotenoids, vitamins C and E, and risk of cataract in women. Archives of Ophthalmology. January 2008. Association between vitamin D and age-related macular degeneration in the Third National Health and Nutrition Examination Survey, 1988 through 1994. Archives of Ophthalmology. May 2007. Possible contraindications and adverse reactions associated with the use of ocular nutritional supplements. Ophthalmic and Physiological Optics. May 2005. Long-term nutrient intake and 5-year change in nuclear lens opacities. Archives of Ophthalmology.April 2005. Vitamins for chronic disease prevention in adults: scientific review. JAMA. June 2002. Plasma antioxidant vitamins and carotenoids and age-related cataract. Ophthalmology. November 2001. Antioxidant vitamins and zinc reduce risk of vision loss from age-related macular degeneration. National Eye Institute (NEI). Press release issued in October 2001. A randomized, placebo-controlled, clinical trial of high-dose supplementation with vitamins C and E, beta-carotene, and zinc for age-related macular degeneration and vision loss: AREDS Report No. 9. Archives of Ophthalmology. October 2001.